1. Grease a muffin tray or individual paper cups and dust lightly with flour. 2. Sift the refined flour, cocoa powder, baking powder and soda bicarbonate together. 3. Beat the eggs with sugar till creamy. 4. Add to the flour mixture, a little at a time, adding a few spoons of water to obtain a dropping consistency. 5. Squeeze the water out of the ash gourd and add to the above mixture. 6. Add the vanilla essence and the dissolved coffee. 7. Stir the vinegar just before spooning the mixture into the tray. 8. Bake at 180C till the cake is done. 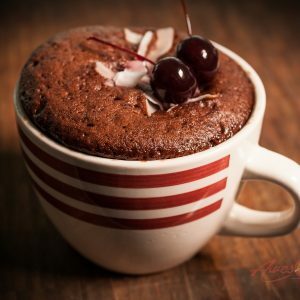 Feel free to comment or share your thoughts on this Brownie Cupcakes Recipe from Awesome Cuisine.